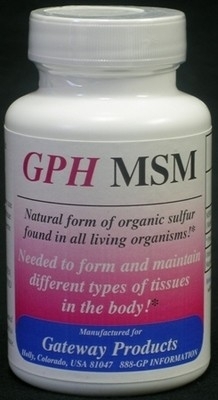 MSM (MethylSulfonylMethane) is a natural form of organic sulfur found in all living organisms. This natural compound, researched since 1979, provides the chemical links needed to form and maintain numerous different types of tissues found in the human body, including connective tissue such as articular cartilage. MSM is a natural component of almost all fresh fruits, vegetables, seafood and meat. Food processing methods reduce sulfur levels, making supplementation more important than ever.